﻿ Before properly discussing Lukas Nelson as a musician, it’s worth noting where the markers in his musical lineage lie. Obviously callbacks to his father Willie Nelson play a role, but so does the work of his mentor Neil Young who recruited both him and his band Promise Of The Real as his touring and studio band. Throw in J.J. Cale and Kris Kristofferson into the mix, and it would easy to assume the sound of this self-titled fourth album would be fairly standardised, a mix of country, blues and Southern rock styles coalescing into a love letter to those formative acts. That wouldn’t be entirely untrue either – both Nelson and the band are heavily indebted to sounds and themes ingrained in images of classic Southern Americana – but their abilities as a collective are much more pliable and offer a greater breadth of sounds than would typically be attributed to them. And from the very first track Set Me Down On A Cloud, it’s made abundantly clear that this is due to a much healthier dynamic within the band; this isn’t just a case of “frontman and his backing band”, with each member getting their own opportunity for their individual skills to shine. Thus, a handful of tracks like Forget About Georgia extend far beyond the six-minute mark for Jesse Siebenberg’s languid guitar work to cascade across a gorgeously hollow mix, and Tato Melgar’s layered, island-inspired percussion on Fool Me Once and Find Yourself opens up the mix to let some more texture in. And even with the thread tying everything together does come down to the vocals, even then, it’s easy to delegate the praise beyond just Nelson. He certainly puts in the most work, ranging from Southern merriment that just touches on goofiness on Die Alone to a soft, slightly nasal tremble on Just Outside Of Austin with the same natural magnetism in each, but then there’s Lucius vocalists Jess Wolfe and Holly Laessig giving a spacious, heavenly swell to Set Me Down On A Cloud and Runnin’ Shine, and even Lady Gaga with a rawness in her vocals and some supreme chemistry with Nelson on Find Yourself and the insatiable piano and bass grooves of Carolina. Alongside production that never sands back any of the meat that’s naturally cultivated on a sound like this, there’s actual weight that seeps into every minute of this album that’s greatly appreciated. Of course, that then puts the onus on Nelson’s own character to live up to those similar standards, and it’s hard to make a definitive judgement either way, mostly because any themes boil down to basic interpretations, be they the highs and lows of relationships (Die Alone on one side, Find Yourself on the other) followed by melancholic regret and the desire to right past wrongs (the closing duo of Forget About Georgia and If I Started Over), peppered with the embrace of Americana and its traditions (Carolina and Four Letter Word). It’s telling that any ventures towards more adventurous territory are mixed at best; there’s a quiet tastefulness to Runnin’ Shine‘s tale of making do after the death of Nelson’s grandfather, but conversely High Times‘ social commentary feels ham-fisted, not helped by its lumpen guitar work. But sticking with these simpler scenarios for the most part isn’t necessarily detrimental, especially with Nelson being at his most comfortable playing to big emotions. There’s a sense of despair on Forget About Georgia that’s easy to latch onto, and the accompanying instrumental complements that; same with happiness on Die Alone. It all clicks because Nelson and the band avoid over-complication, and even if it can feel like well-trodden ground, in the long term it doesn’t matter when it’s done as well as it is here. And when it comes to this sort of thing, there’s something so compelling about how Lukas Nelson & Promise Of The Real carry themselves, embracing space and diversity that exceeds the sum of its parts for a truly excellent listen. Country rock and Southern rock mightn’t be at the peak of the popularity at the minute, but the extent to which this album manages to captivate transcends that, and with barely an ounce of filler amongst a runtime that’s just shy of an hour, that seems to be enough for an unequivocal winner. 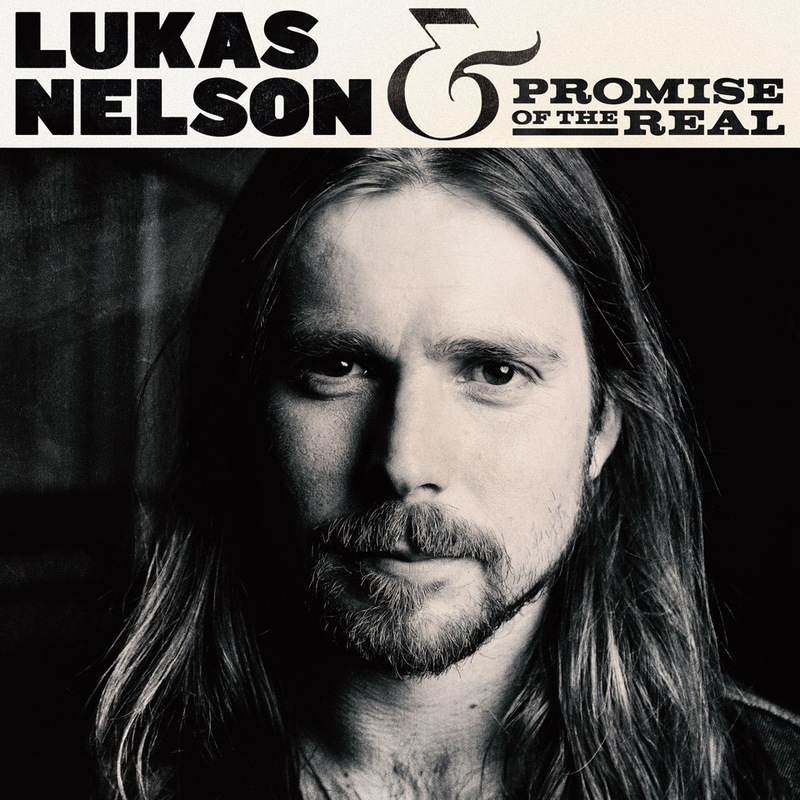 ‘Lukas Nelson & Promise Of The Real’ by Lukas Nelson & Promise Of The Real is released on 25th August on Fantasy Records.